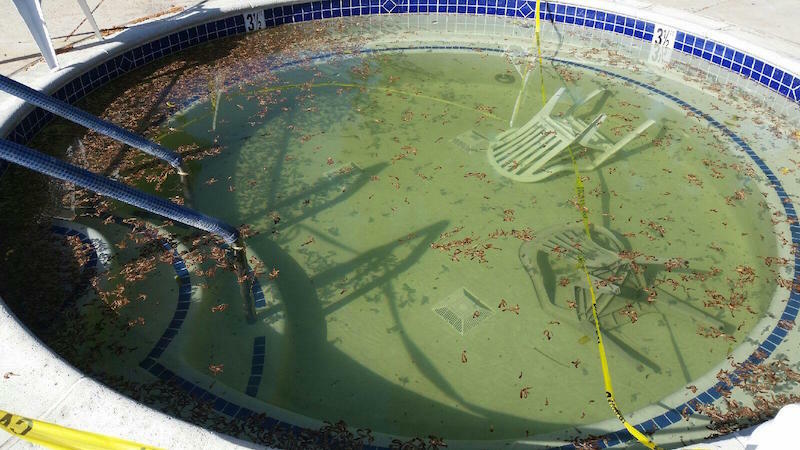 Algae is a very common issue that most pool/spa owners must face especially when there is an increase in bather load, warm weather, and/or lack of water filtration. 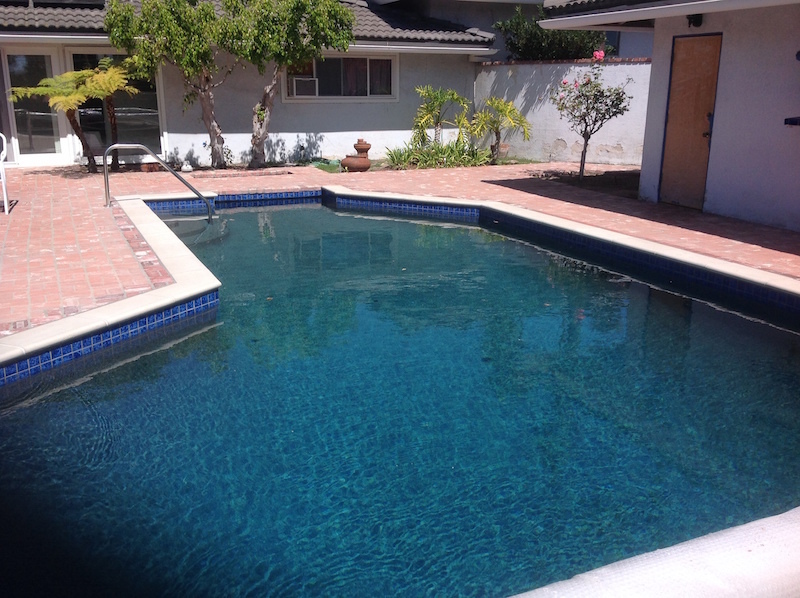 Remove algae by brushing all surfaces of the pool/spa. This process will stir up and aggravate the algae which puts it into suspension. Shocking means super chlorinating or adding enough chlorine (usually liquid or granular) to kill algae and other bacteria that may be present in the water. There are many different choices when it comes to algaecides so make sure to read the label or consult a pool professional before applying it to the water. They often contain different active ingredients which may alter the way the product is applied. The water must be filtered for a minimum of 24 hours after steps one, two, and three have been completed. This will allow the dead algae particles to be caught in the filter elements. Sometimes it is necessary to run the equipment longer than 24 hours to make sure all algae is removed. 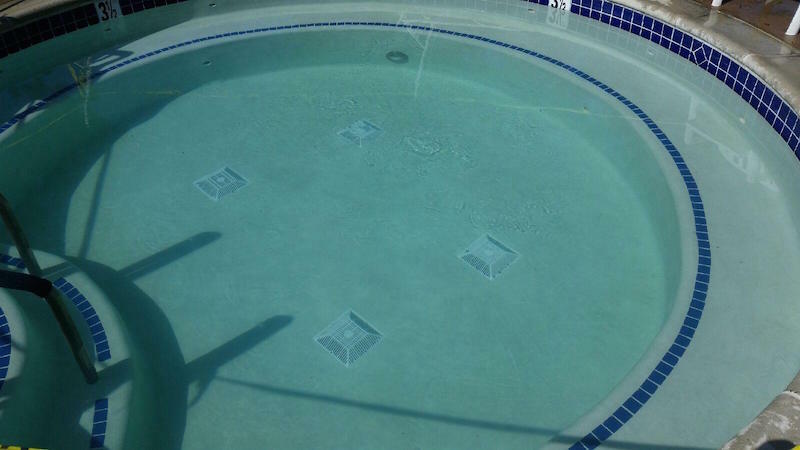 Running an automatic pool cleaner or manually vacuuming the pool will help speed up the process. 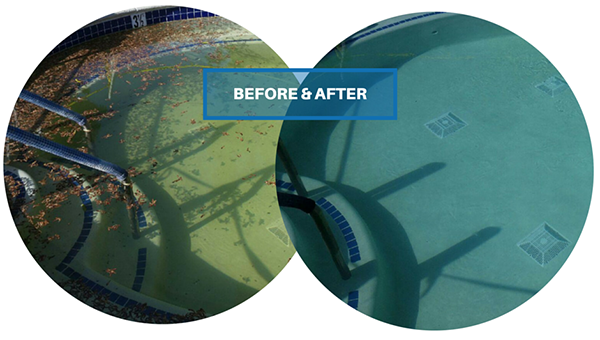 Once the pool has cleared up and the algae has been caught in the filter, it is recommended that the filter be backwashed or the filter be “deep cleaned” meaning the filter elements inside are removed and cleaned or replaced if necessary. 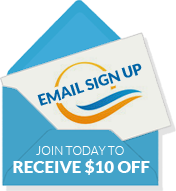 If algae growth is heavy multiple treatments may be necessary and/or the filter may need to be cleaned multiple times.